To remove all dirt and debris form the pores of the stone involves the use of Specialist Natural Stone cleaning solutions with professional floor cleaning machinery. 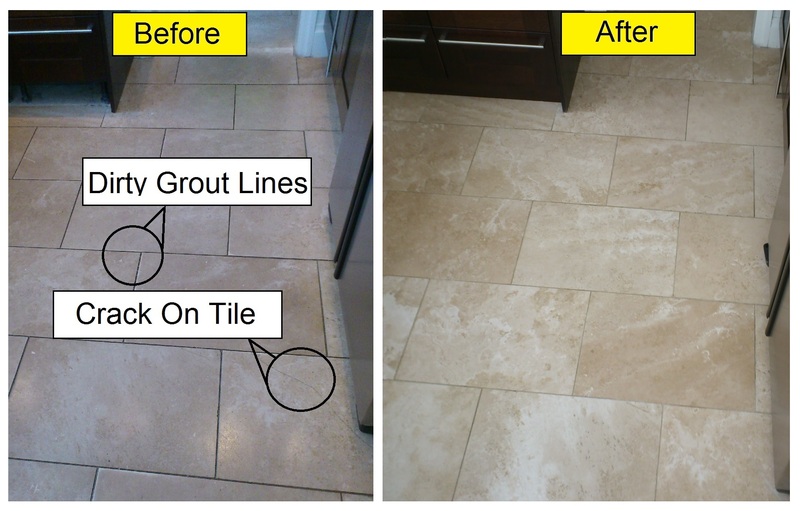 Grout lines are also cleaned with grout brushes. Reaching parts domestic producuts can not! With most natural stones holes will appear over time, Travertine is especially susceptible to this. Cracks and scratches can also capture the dirt and become very noticeable. Filling these with the correct epoxy Stone fillers will make them blend into the stone and in some cases disappear completely. Some marks and deep scratches may need removal with hand grinding tools. The best technique to return your stones floor to its best is by using a Diamond Polishing system. Bond & Sons have developed a unique system exclusively to them, which will bring the best results to your stone floors. You can choice the finish you want from a very high shine to hones matt finishes. You choice the right finish for your Marble, Travertine or Limestone floors. This process can also be used to bring a high shines to natural stone tiles which were purchased honed. To help keep your floors looking their best for longer the correct natural stone seal / impregnator is vital. Using a variety of suppliers for the best products ensures the best results. After completing the restoration process, advice will be given on the best way to keep them that way too. All natural stones have unique properties, so each type of stone needs to be treated differently for the best results. All the solutions, chemicals, machines and processes have been tried and tested over the years to get these best results. Bond & Sons are not franchised or tied to any one supplier, method or system. This means they use the right products for the work in hand, giving the best results. Even with the same stone type processes will sometime need to change for instance the wide variety of Marbles means some are much softer than other, the same is true of Travertine (Some Travertine are called Marble Travertine due to some similarities in the stone) so the floor is evaluated throughout the cleaning and polishing process to ensure great results. Only the best Marble and Travertine care companies can do this! Specialists in Marble Cleaning, Marble Repair, Marble Polishing, Marble Sealing. 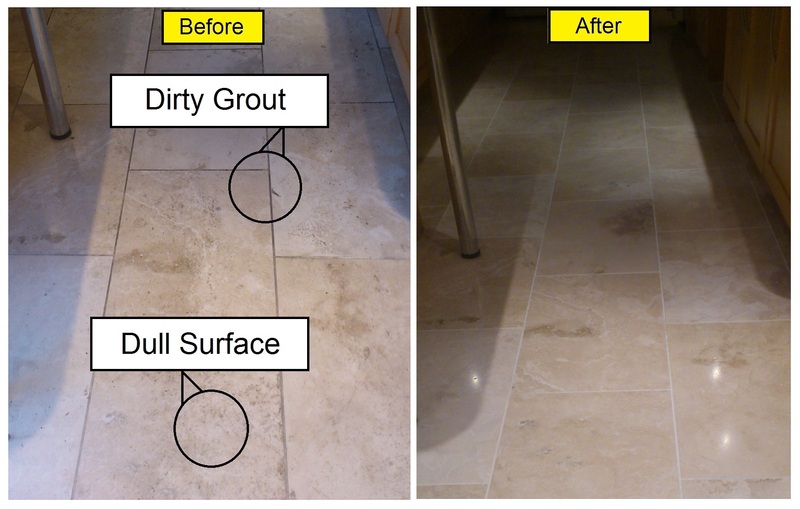 Travertine Cleaning, Travertine Cleaning, Travertine Repair, Travertine Polishing, Travertine Sealing. Limestone Cleaning, Limestone Repair, Limestone Polishing, Limestone Sealing. Slate Cleaning, Slate Sealing. Sandstone Cleaning, Sandstone Repair, Sandstone Sealing. Natural Stone Cleaning, Natural Stone Repair, Natural Stone Polishing and Natural Stone Sleaning.